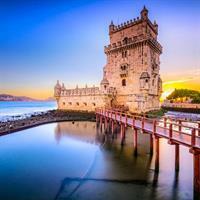 Lisbon, a dazzling city stretching along Tagus river, makes an enchanting European capital. Its nucleus, an ancient fortress, is now circled by neighborhoods drenched with medieval charm. Handcrafts - from embroidery to leatherwork - are peddled right on the streets. At night, yellow electric tramcars continue to wind their way up and down the hills in the sound of traditional Fado songs. Ample opportunities exist for seeing popular celebrations, for shopping, and for enjoying the nightlife along the riverbank. Must See`s: Alfama, Baixa and Chiado, Se de Lisboa, Sao Roque Church, Mosteiro dos Jeronimos, Torre de Belem, Discoveries Monument, Museu Nacional dos Coches, Parque das Nacos, Elevador de Santa Justa, Tram 28 and so much more! Porto (also known as Oporto) is the second city of Portugal, and a hub for the northern part of the country in terms of arts, entertainment, culture and shopping. Previously conquered by the Celts, Romans and Moors, Porto has been a jewel in the Portuguese royal crown for nearly a millennium. The city offers art treasures, medieval cathedrals, museums, shopping, and delicious food and drink, all while tourists enjoy breathtaking views of the River Douro, which empties into the Atlantic just three miles from the city center. 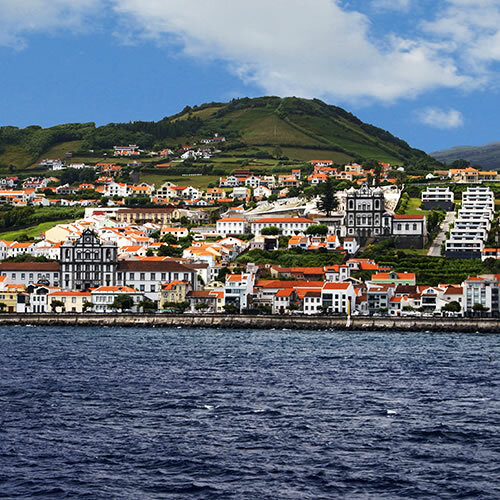 Don`t miss the center, in particular the Ribeira neighborhood, which is a UNESCO World Heritage Site. Porto Cathedral (Sé), Clerigos Church and Tower, Palacio da Bolsa, the gardens at the Palacio de Cristal, Ponte Dom Luis I, the port wine lodges of Vila Nova de Gaia, the Funicular dos Guindais, Praça da Liberdade, Avenida dos Aliados, and so much more! Faro is the gateway to the Algarve, the region in Portugal most popular with tourists. With over 300 days of sunshine each year, the weather in Faro is postcard-perfect for enjoying fun in the sun and sightseeing. 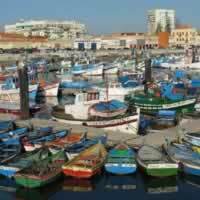 The town has been settled continuously since the fourth century before the Common Era, and that long, storied history can be seen from the marina to the cathedral. Faro Cathedral, Igreja do Carmo, Palacete Belmarco, Faro Island, Cabo de Santa Maria, Igreja da Misericordia, Arco da Vila, Arco da Repouso, Muralhas de Faro and so much more! Located at the mouth of the Bensafrim River just before it flows into the Atlantic Ocean, Lagos represents the Golden Age of Portuguese Discovery in many minds. Henry the Navigator used Lagos as a home base to conquer Madeira and the Azores. Today Lagos is known as a place to have fun in the sun, and areas such as the Ponta da Piedade are known the world over for their beautiful, crystal blue waters. Recently Lagos was named one of the `top 15 world destinations on the rise`, and with all the city has to offer, it`s easy to see why! Ponta da Piedade, Lagos Castle, Fortaleza da Ponta da Bandeira, Praia do Porto de Mos, Meia Praia, Praia do Camilo, Lagos Esplanade, Batata Beach, Lagos Marina, Monumento dos Descobrimentos, and so much more! 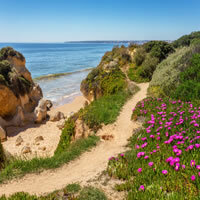 The first peoples who lived in what is now Albufeira on Portugal`s Algarve coast arrived during the Bronze Age. 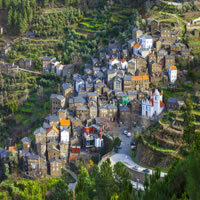 The Romans, Arabs and Portuguese all ended up making a mark on this picturesque resort town, the `castle on the sea`. Hundreds of thousands of tourists come to Albufeira every year to see the Old Town, party on The Strip, and enjoy some fun in the sun at a number of local beaches. Praia do Peneco, Praia da Oura, Igreja de Sant`Ana, Capela de Sao Sebastiao, Igreja Matriz, Albufeira`s Old Town, The Strip, Roman ruins of Cerro da Vila, Zoomarine Algarve, and so much more! The region of Portugal known as the Alentejo Coast stands at a crossroads between rolling hills and farmland and some of the most beautiful beaches in the country. Using the region`s largest city, Santiago do Cacem, as a base, you can explore the areas up and down the coast, from the Troia Peninsula to the Vicentine Coast Natural Park. Alcacer do Sal, Grandola, Sao Teotonio, Santiago do Cacem, Sines, Porto Covo, Vila Nova de Milfontes, Zambujeira do Mar, Vicentine Coast Natural Park, Rota Vicentina, and so much more! 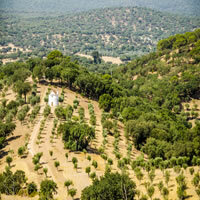 The rolling hills and lush valleys of the Alentejo`s Golden Plains region are a traveler`s delight. The people who call this region of Portugal home live life at a slower pace, and it is easy for tourists to feel at home in such a warm and relaxing environment. First inhabited during the Iron Age, the Romans and Moors left their distinct footprints on this area before it fell under Portuguese control in the 13th century. Ranging from modern commercial and industrial centers to sleepy hamlets, the towns of the Golden Plains offer more than just history -- they offer hospitality and lots of heart. Beja Cathedral, Beja Castle, Roman Villa of Pisoes, Alvito Castle, Moura Castle, Moura/Barrancos Special Protection Area, Lake Alqueva, Amieira Marina, Portel Castle, and so much more! Lisbon, the capital of Portugal is a dazzling city stretching along Tagus river, a cosmopolitan destination forever linked with the sea. Its nucleus, an ancient fortress, is now circled by neighborhoods drenched with medieval remnants. Its history of discovery is mirrored in its monuments; its future lies in its warm disposition, cultural significance and fabulous lifestyle. It follows an unhurried pace, full of character and beguiling charm. Handcrafts - from embroidery to leatherwork - are peddled right on the streets. At night, yellow electric tramcars continue to wind their way up and down the hills in the sound of traditional Fado songs. Ample opportunities exist for seeing popular celebrations, for shopping, and for enjoying the nightlife along the riverbank. Portugal and Spain are each equally dazzling, as you will see with this dynamic combination of cities! Travel from Lisbon (the capital of Portugal; stretching along the Tagus River and neighborhoods full of medieval charm spiral out from the ancient fortress at the heart of the city - experience shopping, nightlife and fun, local celebrations) to Barcelona (the dramatic buildings of artist Gaudi, the stunning Gothic Quarter and always on the biting edge of fashion, food, style and music while retaining and celebrating its own unique heritage). This is a flexible vacation package. Select your number of nights in each city, desired hotel and activities. Picture perfect Portugal! 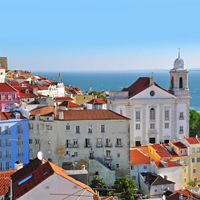 See two of the country`s most iconic destinations; begin in beautiful Lisbon (set on seven hills, visually striking, laid back and friendly with ancient charm) and Albufeira (situated in the popular Algarve region, known as the Garden of Portugal with endless sunshine and quaint fishing villages). Paired with a rental car to provide the most flexibility. This is a flexible vacation package. Select your number of nights in each city, desired hotel, preferred car and activities. 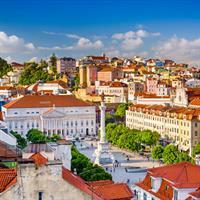 See beautiful Portugal through two of its most popular destination! Begin your vacation in Lisbon (the dazzling capital with an ancient fortress at its heart, charming neighborhoods with local culture and festivals, nightlife along the Tagus riverbank and delectable food) then take the train to Porto (the former residence of the Royal Family, medieval cathedrals, concert halls, a national library and museums with breathtaking art treasures). This is a flexible vacation package. Select your number of nights in each city, desired hotel and activities. Three dynamic cities in Europe are combined here into one unforgettable vacation for you! Begin in Lisbon (the capital of Portugal; set on the banks of the Tagus river with an ancient medieval fort at the heart of the city and charming neighborhoods with amazing food, shopping and quaint local festivals) then travel to Madrid (with an undeniable energy; famous museums, fabulous shopping and nightlife) and finish in Barcelona (famous buildings by artist Gaudi, the dramatic Gothic Quarter and always on the biting edge of fashion, architecture, food, style, music and good times). This is a flexible vacation package. Select your number of nights in each city, desired hotel and activities. An incredible vacation package in Europe, visit 5 inspiring cities! 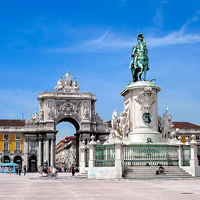 Begin in Lisbon (the capital of Portugal; set on the banks of the Tagus river with an ancient fort at its heart and charming neighborhoods) and continue by flight to Madrid (an undeniable energy permeates the air, the food is heavenly and the museums are out of this world). Next is the Moorish influenced Seville (the passion of the Flamenco, the scent of orange blossom in the air, monuments, narrow streets and hidden patios), Granada (the palace and gardens of the Alhambra are a UNESCO World Heritage site) and Barcelona (the city of incomparable architecture by artist Gaudi, on the biting edge of food, fashion, music and good times). The last 3 cities are connected by High Speed train. This is a flexible vacation package. Select your number of nights, desired hotel and activities. Two dynamic cities in Europe are combined here into one unforgettable vacation for you! 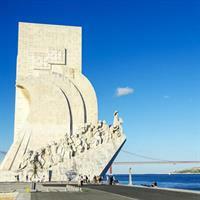 Begin in Lisbon (the capital of Portugal; set on the banks of the Tagus river with an ancient medieval fort at the heart of the city and charming neighborhoods with amazing food, shopping and quaint local festivals) then travel to Madrid (with an undeniable energy; famous museums, fabulous shopping and nightlife). Flights between cities. This is a flexible vacation package. Select your number of nights in each city, desired hotel and activities. An inspiring combination of favorite cities in northern Portugal. Begin your vacation adventure in Lisbon (the charming capital on the banks of the Tagus River); continue to Coimbra (the educational center of the country), admiring the dreamy scenery! Be sure to visit some nearby favorites such as Fatima, Luso or Curia to get a glimpse into daily Portuguese life. Finally drive on to Porto (the former residence of the Royal family, home of art treasures and medieval cathedrals). This is a flexible vacation package. Select your number of nights in each city, desired hotel and activities. Three dynamic cities in Europe are combined here into one unforgettable vacation for you! Begin in Lisbon (the capital of Portugal; set on the banks of the Tagus river with an ancient medieval fort at the heart of the city and charming neighborhoods with amazing food, shopping and quaint local festivals) then travel to Madrid (with an undeniable energy; famous museums, fabulous shopping and nightlife) and finish in Paris (fabulous shopping, food and wine; brilliant architecture - museums, monuments and romance). This is a flexible vacation package. Select your number of nights in each city, desired hotel and activities. Three of Europe`s most memorable cities are at your disposal with this customizable vacation package. Begin in Lisbon (the capital of Portugal; home of famed explorers, full or tradition, rich culture, and modern wonders) and then take a flight to Barcelona (centuries of art, history and tradition; bustling public squares with shopping, cafes and superb food) and then finally hop a flight to Rome (a veritable wealth of history, religion, culture and centuries of artistic achievement). This is a flexible vacation package. Select your number of nights in each city, desired hotels and activities. Spain and Portugal are neighbors, cohabitating on the same expanse of land and share rich heritages, incredible sights and wonderful culture! In this vacation package you will visit Lisbon, then fly to Madrid and continue to Cordoba and Seville by train. You will have the chance to explore gorgeous, ancient churches, experience the passion locals have for their history, museums, Flamenco, public squares, food, wine and so much more! This is a flexible vacation package. Select your number of nights in each city, desired hotel and activities. Visit the stunning Alentejo region of Portugal and explore its historic cities, which still flourish to this day! Combine Lisbon, Evora, and the Alentejo Golden Plains (known for its flat, expansive wheat plains and simple beauty) with rental car. You control your whole itinerary with this flexible vacation package! This is a flexible vacation package. Select your number of nights in each city, desired hotel and activities. Combine the best of Portugal with a rental car, to take your vacation package into your own hands! 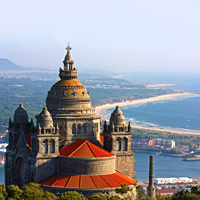 Start in Lisbon (a dazzling city stretching along the Tagus, drenched in medieval charm), continue to Coimbra (the educational center of the country), then spend a few days in the glorious, sun drenched Costa Verde and finally, Porto (the 15th century seat of the Royal family). Be sure to visit nearby Braga and Guimares for their historic charms while staying in Porto! This is a flexible package. Select your number of nights in each city, desired hotel and activities. Visit Lisbon (a dazzling city stretching along Tagus river, with its nucleus, an ancient fortress circled by neighborhoods drenched with medieval charm); Barcelona (fashion, architecture, food, style, music and good times); and Ibiza Island (this Spanish island, nestled in the Mediterranean sea, is famous for is various beaches and its radiant nightlife activities) with a flight between cities. This is a flexible vacation package. Select your number of nights in each city, desired hotel and activities. Riad in Morocco cute Lovely dining area. Atlas mountain and berber village tour excellent. Hotel Lisboa in Lisbon did a great job!